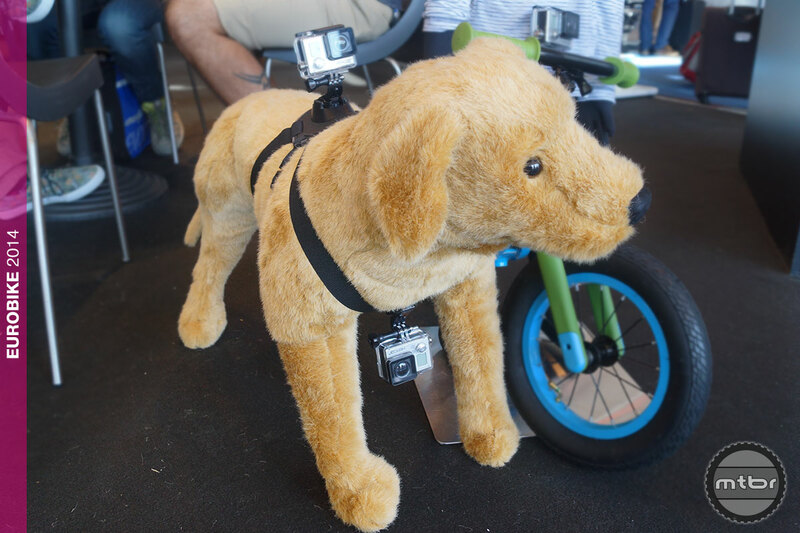 We first saw the clever GoPro Fetch dog harness at the POV camera company’s namesake mountain sports festival on Frisbee-catching canines a couple months ago. Now the $60 accessory for GoPro’s wildly popular line of action cams is available, and was on display at Eurobike. Though we’ve yet to see footage from a trail dog, we imagine Fetch could make for some cool, if not bouncy footage of a rider trailing or leading his or her dog. The harness can be mounted to the top or bottom of a dog’s torso (provided there’s adequate ground clearance) and it fits dogs from 15 to 150 pounds. For more information visit gopro.com.